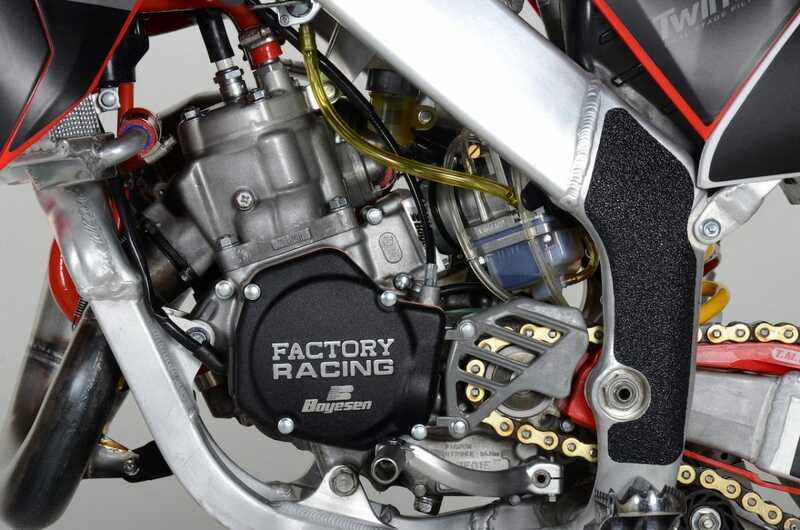 Our LA Sleeve 2001 Honda CR125 project is front and center on this week’s Two-Stroke Tuesday. We have products from Bolt Motorcycle Hardware, Boxo USA Tools and a free link to download the 2019 FXR digital catalog in the 2-Stroke Hardware section. 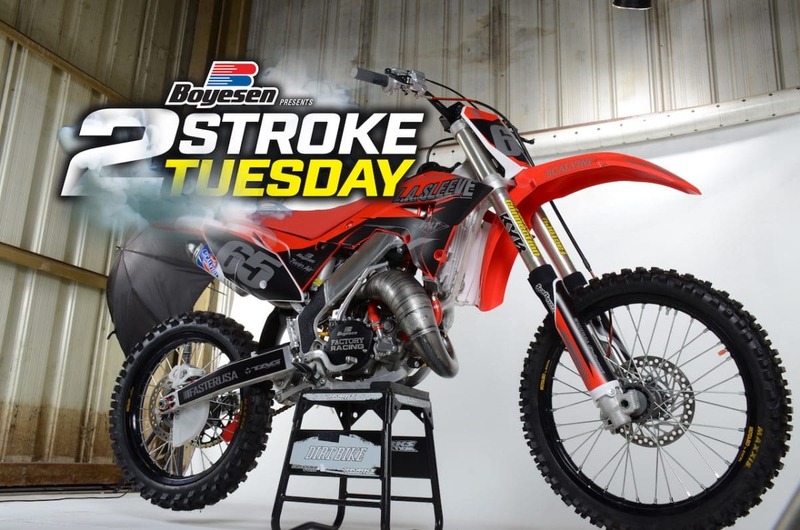 We packed 2-Stroke Theater full of small-bore premix burning machines this week and don’t miss the exclusive link to Blake”Bilko”Williams Pro Circuit KX125 at the bottom of this post. Yes this is a 2001 and no the Polisport CR Restyle kit does not bolt right up. This project was updated with 2003 gas tank, subframe and airbox before the Polisport kit was installed. 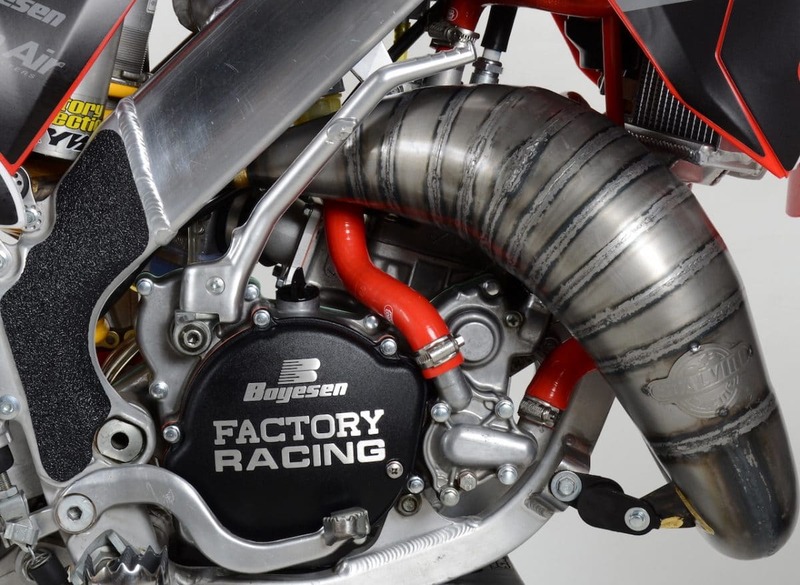 As you can see there are a host of companies involved on this build including Bolt Motorcycle Hardware, LA Sleeve, Faster USA, Factory Connection, Tag Metals, TM Designworks, Maxxis Tires, Boyesen, Samco Sports and the list goes on. There is just something about cone pipes and two-strokes that makes you want to ride! 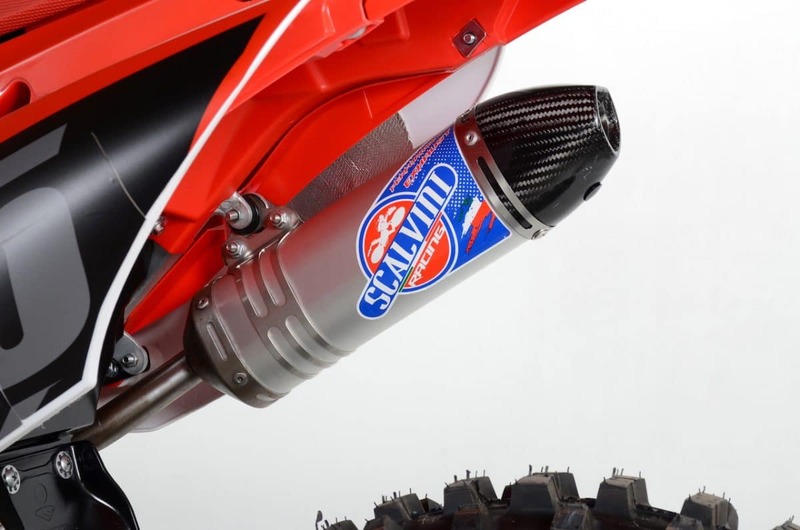 Scalvini offers exhaust for most popular two-stroke models. We installed Boyesen ignition and clutch covers along with bright red Samco Sport silicone radiator hoses. Tag Metals is back! 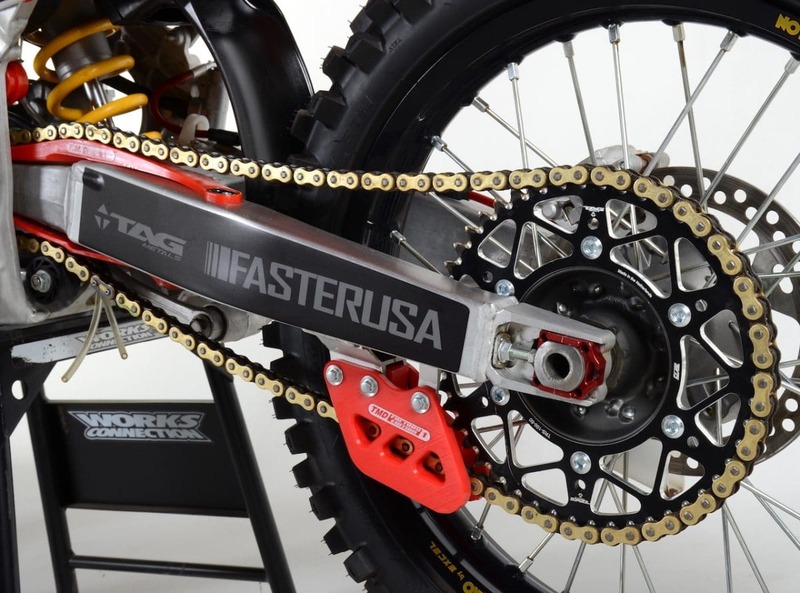 We used their gold race chain and sprockets with a red TM Designworks slide-n-glide kit. 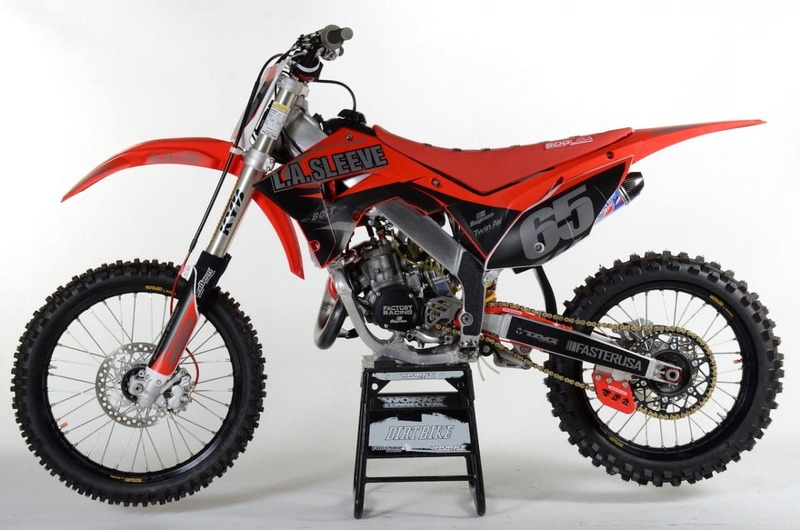 The engine was completely rebuilt by the crew at LA Sleeve using Wiseco performance products. While the engine was apart we decided to increase the horsepower bumping the cylinder up to a 134cc. We added a complete Boyesen Rad Valve intake and Lectron Carburetor into the mix as well. 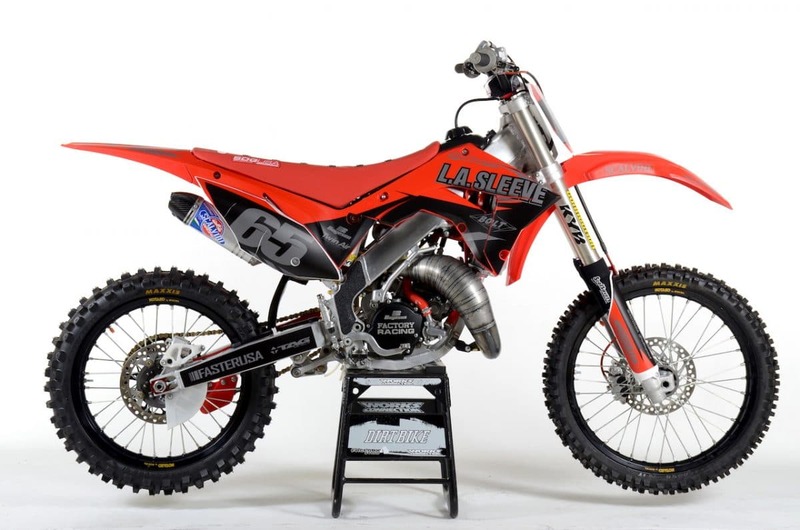 Scalvini offers full carbon silencers and this aluminum/ carbon model for older CR125 models. Faster USA cleaned up and put a grey Cerakote finish on our stock hubs. 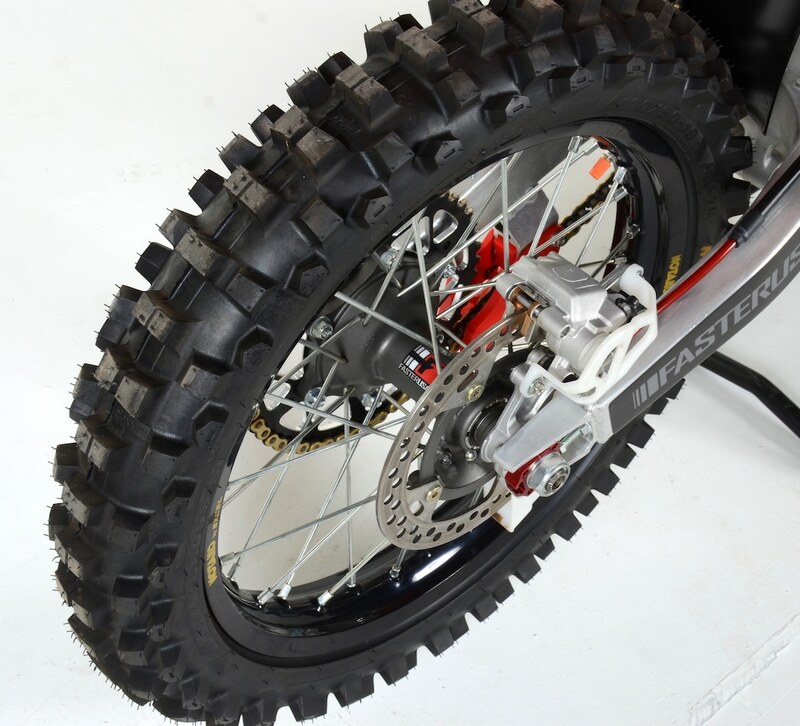 We wrapped the upgraded wheel set in the all new Maxxis Maxxcross MX tires. Jared and his crew at Backyard Designs USA topped the build of with a custom graphics kit in a matte finish that went great with the SDG gripper seat. Factory Connection rebuilt and valved the suspension. We replaced most of the nuts and bolts on this build using a Honda kit from Bolt Motorcycle Hardware. For more on that kit scroll down on this post. 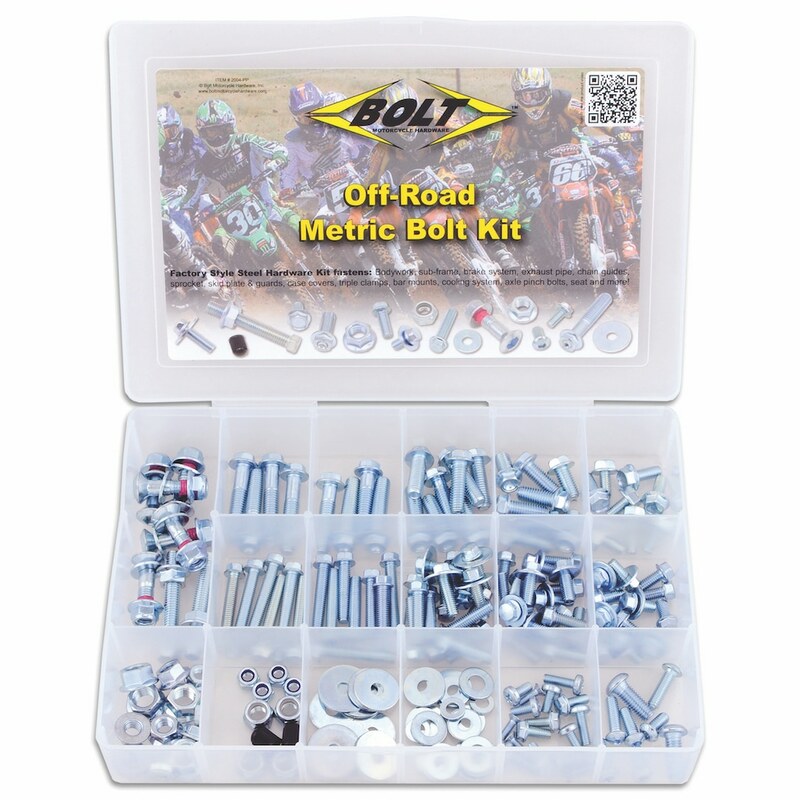 Bolt Motorcycle Hardware makes a universal metric hardware assortment for Japanese off-road motorcycle applications. Each kit contains the most commonly replaced steel hardware and a full set of sprocket bolts. All hardware meets or exceeds factory specs. 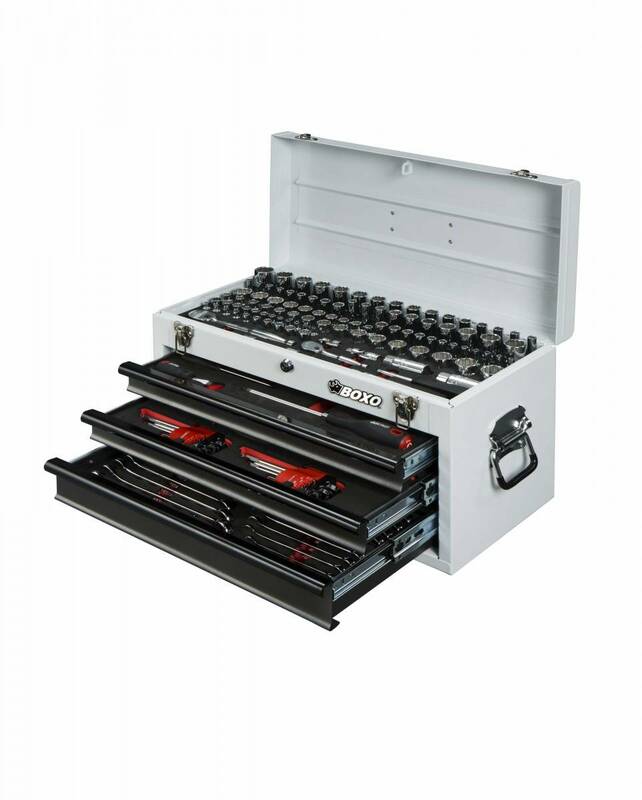 The Box USA 185 Pc Metric & SAE Hand Tool Set in a Hand Carry 3 Drawer Metal Tool Box. Tools are Set in EVA Foam Tool Control Inserts. 159 Pc Mirror Chrome Tool Set Includes: 1/4″ & 3/8 Drive 12 Pt SAE Standard & Deep Sockets with 90 Tooth Hand Ratchets, Extensions & Accessories. 5/8″ & 13/16″ Spark Plug Sockets. 1/4″ Bit Set with Drive Adaptors. 8 Pc Screwdriver Set & 4 Pc Pliers Set with Ergonomic Handles. 20 Pc Metric & SAE Combination Wrench Set. 9 Pc Metric Ball Hex & 9 Pc SAE Ball Hex Key Sets. Download the FXR 2019 digital catalog now! Click the image below. If you like the 125cc machine featured on this week’s Two-Stroke Tuesday check out this sweet 2001 KX125 Team Pro Circuit replica built by Blake”Bilko” Williams. Click the image below for more information.